Any moment is perfect to spoil someone special with this luxury gift and let them know what you feel about them. 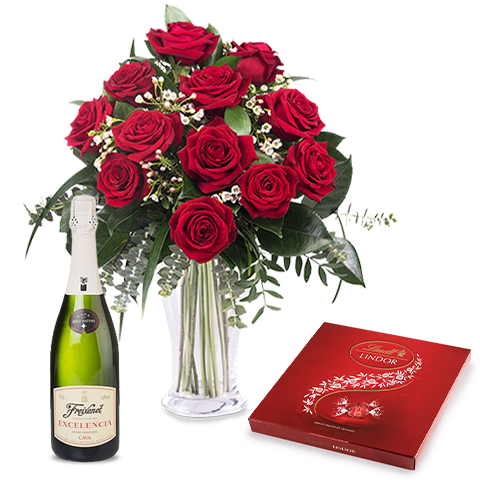 Send this set of roses, chocolates and cava and you will get it right! International gifts online for a special occasion have never been easier to send. Let us explain how. Some occasions deserve a special effort... something unique that will make sure it is memorable. There is no better solution than a surprise gift. We know how difficult it is to choose between hundreds of products, how complicated it is to get it right. Sending a gift to the one you love has never been easier with FloraQueen's selection and international gift delivery options. 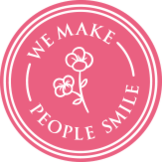 Discover the best surprise gifts in FloraQueen and you'll make their day in just a few clicks. When choosing a gift online for somebody you want it to be special. It can be difficult to get it just right. We can make it easy with our selection of gift ideas. With a wide range of products at your disposal to help make this choice as easy as possible, you will be able to find that perfect product and surprise everybody with your gift. We are sure you will be surprised with the results. Whether it is a gift for a birthday, an anniversary, or a to celebrate Valentine’s Day or just to show how much you love her, you can choose from original items, delicious chocolates, jewelry and an array of flower arrangements that will guarantee that this special day is unforgettable. Among our gift ideas, you'll find a gift that will make it a truly special day. We have a catalog of products especially selected for all types of occasions. You will have every possible option available to you when you need to find a perfect gift, whether it be a gift for her or a gift for him. To deliver gifts internationally requires a flexibility that will cater to any event. When we combine our amazing selection of gifts with the fact that modern shipment methods allow any gift to arrive on time and as planned, it is clear to see why FloraQueen is the best option when choosing how to spoil that special someone. So, for international gift delivery, add FloraQueen to your ‘favorites’ now!